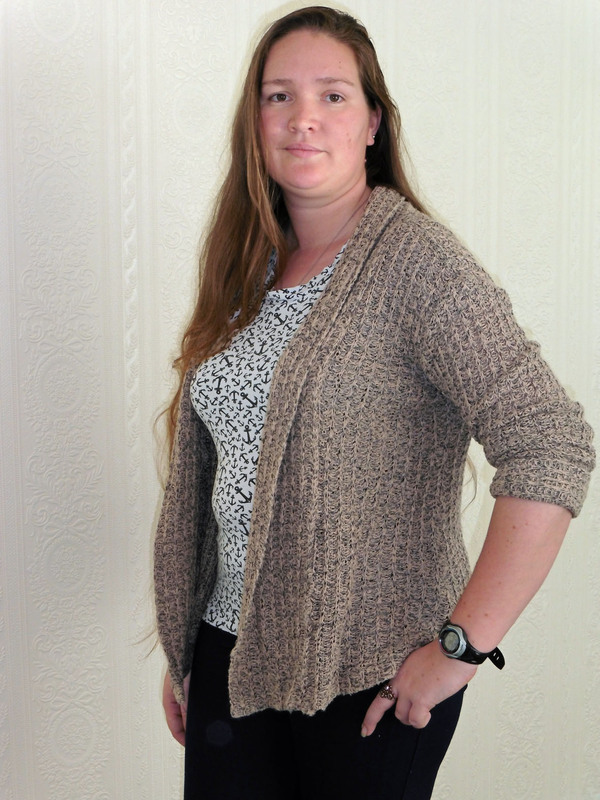 Another Seamwork pattern that I have made multiple times is the Oslo cardigan, unfortunately I only have my version left to be able to take photographs of as the other two were given as gifts to Nikki and my Mother. 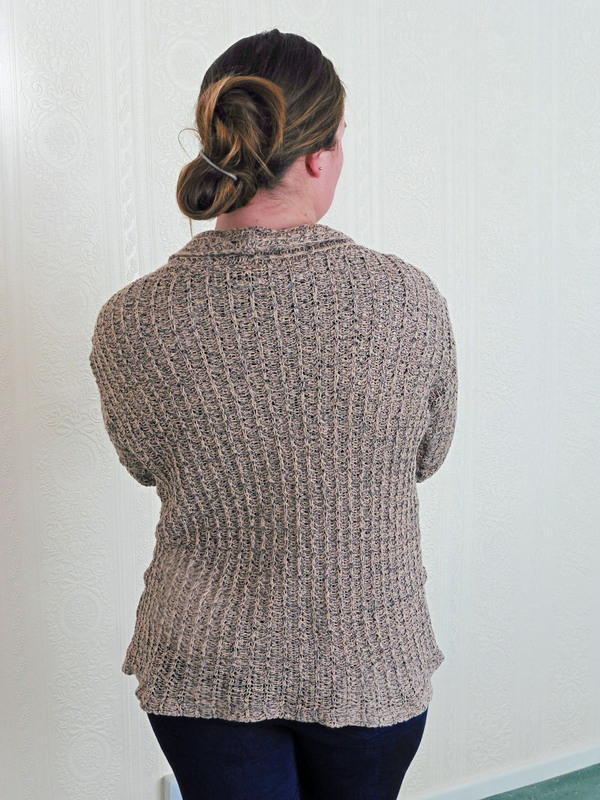 I made this up in a lovely open knit fabric from Tia Knight, which unfortunately got washed a little too hot and is not quite as fluffy, or as long, as it used to be. But still nice all the same. 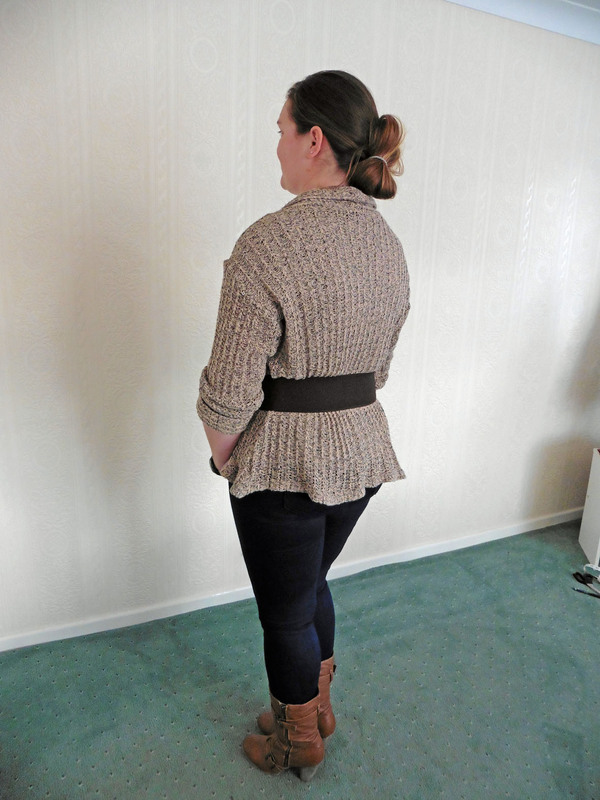 I think it is the material used but the cuff section came out a little odd, but that isn’t too much of a problem as this kind of design I normally wear up at my elbows anyway. 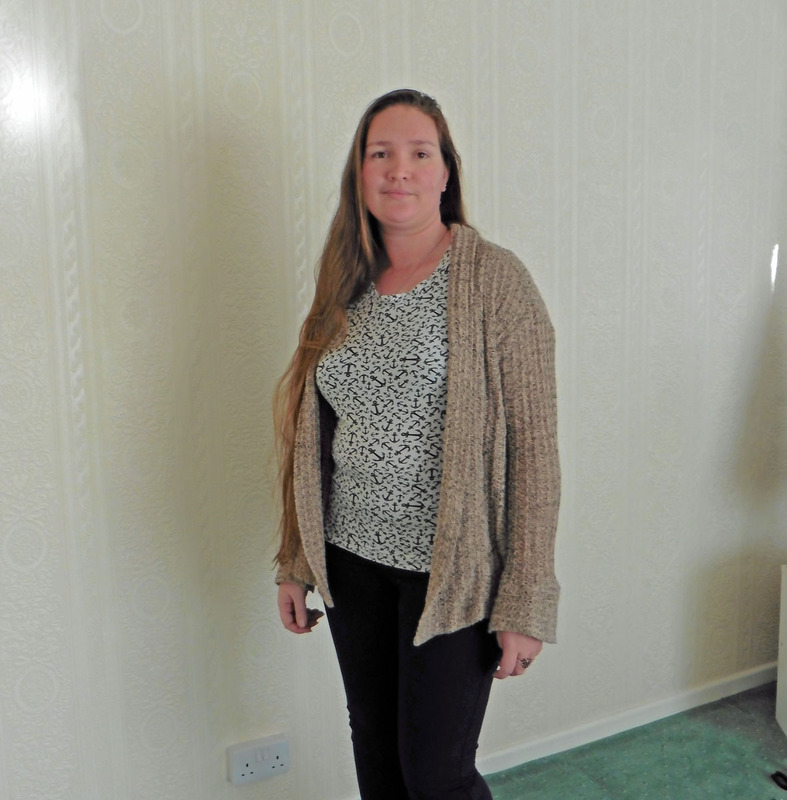 I also wear this belted quite a lot of the time, as I like to keep my cardigans under control and quite like to pull my clothing in at the waist. I do have to admit to liking this pattern a lot. I think in a stretchy fabric like this is it important to reinforce the shoulder seams, which I did with this, pretty much as an automatic action. 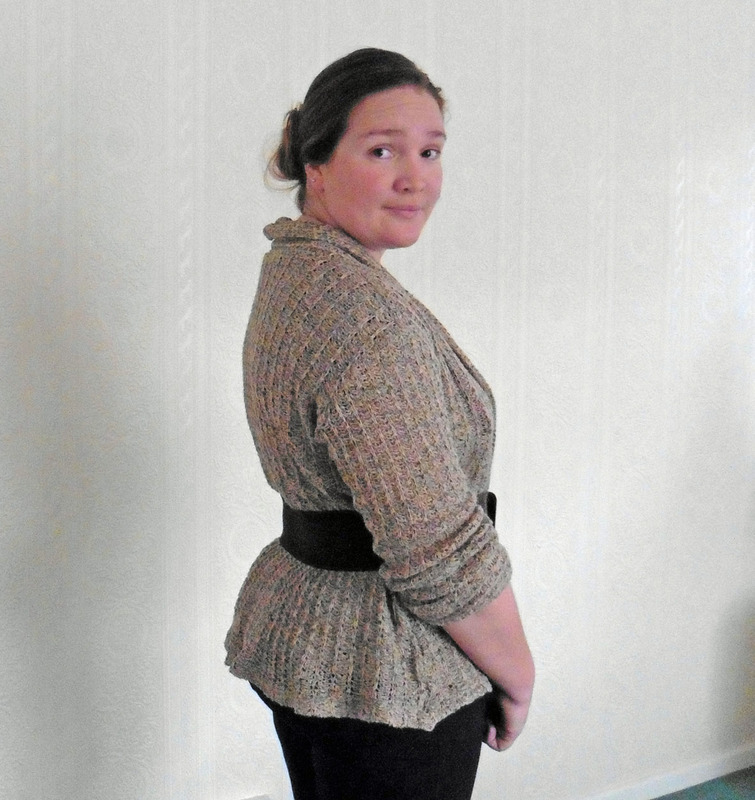 But I think that it would probably be good to do the beck neckline as well so that it doesn’t stretch out too much. Conclusion I will be making this again for myself. And probably again for at least one more family member I imagine. Very pretty! 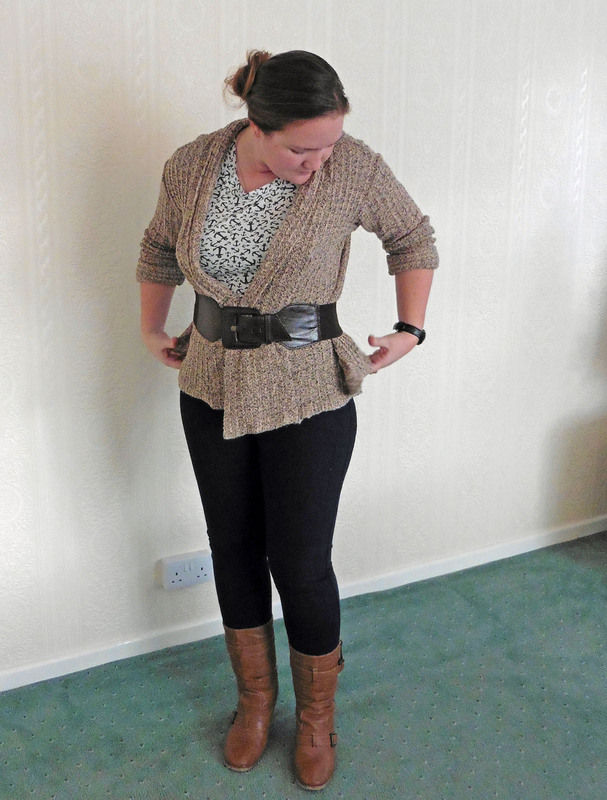 I’m with you on keeping cardigans snug, so I love it belted. Also love the anchor print top!